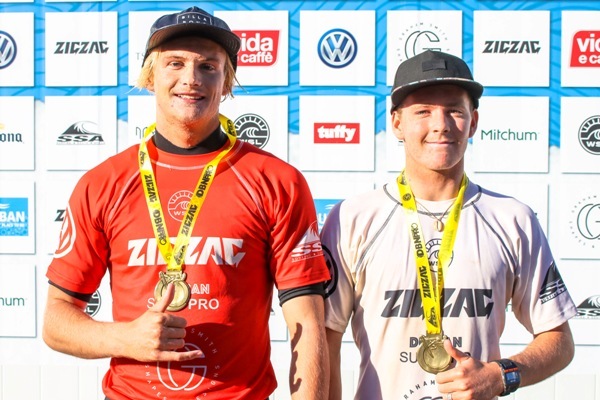 Matt McGillivray (Jeffreys Bay), Cannelle Bulard (Reunion Island) and Eli Beukes (Kommetjie) took the Men’s, Women’s and Junior Men’s titles respectively at the 2018 Vans Surf Pro Classic in Lamberts Bay on Sunday. The final day produced incredible high-scoring encounters as YoYos delivered pumping 1.5 to 2 metre waves in clean offshore conditions and even though the wind freshened into a Southerly crosswind later in the day, the final heat of the day saw the event’s highest score. 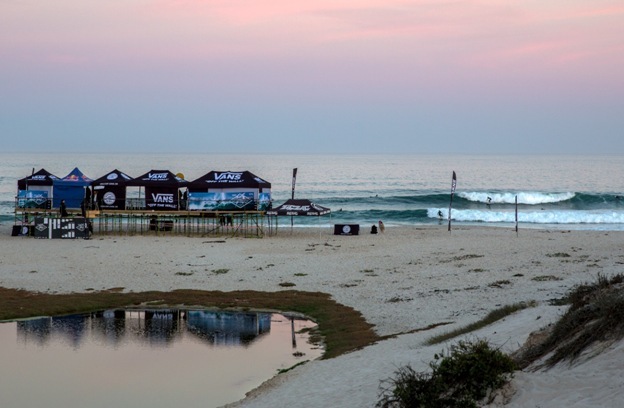 The men’s event was upgraded to a World Surf League (WSL) Qualifying Series (QS) 1,500 rating for 2018 and the 64-man field was whittled down to the last eight all of whom had hopes of taking home the R40,000 prize purse and the precious 1,500 points on the international leaderboard. The final saw Jeffreys Bay buddies and training partners Dylan Lightfoot and Matt McGillivray go head to head with Lightfoot starting the stronger, leaving McGillivray needing to better 14 points before he’d even caught a good wave. Although Lightfoot was surfing really well, the 19.16 requirement was a bridge too far and it was McGillivray who claimed the title and moved back into the top 10 spot on the QS rankings he has held since winning the first QS3,000 event of the year in Israel. “The final went really well, the waves were pulsing which gave us plenty of opportunities,” said McGillivray. “Dylan started really well and got two good waves, but I just tried to block that out and focused on my own performance. “My first good score I did a some turns out the back and then there was a nice section for an air on the inside and although I probably should have played it safe, I decided to risk it and it paid off and I’m really stoked I managed to land the air and get a 9.5. That helped me relax and I took the lead with my next ride and then I added that 9.65 for the win. McGillivray defeated an inform David Van Zyl (Glenashley) in their semi-final clash and earlier ousted red hot Brazilian junior Eduardo Motta in the quarterfinals. Lightfoot had overcome another Brazilian in Luan Carvalho in the quarters and then event top seed Beyrick de Vries (uMhlanga) in their semi duel. The 560 points Van Zyl earned for his third place finish was sufficient for him to overtake Jordy Maree (Cape Town) at the top of the men’s regional rankings heading into stop No. 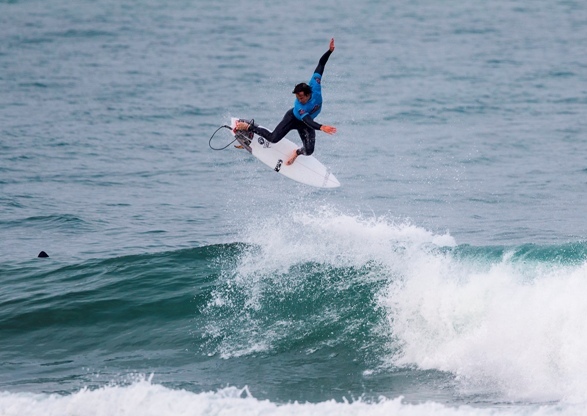 6 on the WSL Africa Qualifying Series, the Jordy Smith Cape Town Pro, later this month. 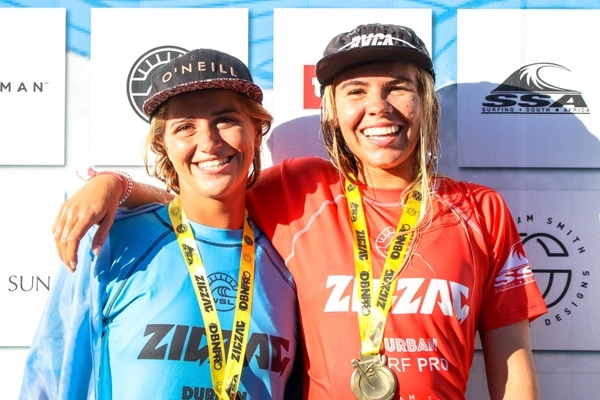 The QS1,000 women’s final was a tightly contested encounter that was only decided in the dying seconds when Reunion Island’s former star Cannelle Bulard posted a 7.0, the highest scoring ride of the 25 minute matchup against Nicole Pallet (La Lucia), the WSL Africa rankings leader. “It was really hard out there and we couldn’t hear anything, so neither of us had a wave at the start,” explained the ever-smiling Bulard, who had been a standout in the powerful Lamberts Bay surf from the outset of the event on Friday. The Junior Qualifying Series (JQS) 1,000 event for men 18-and-under was a hometown victory of sorts as Eli Beukes, who grew up in Lamberts Bay, but now reside with his family in Kommetjie, beat all comers to clinch a title he had wanted to win for years by successfully landing a Hail-Mary aerial manoeuvre after the siren had sounded. 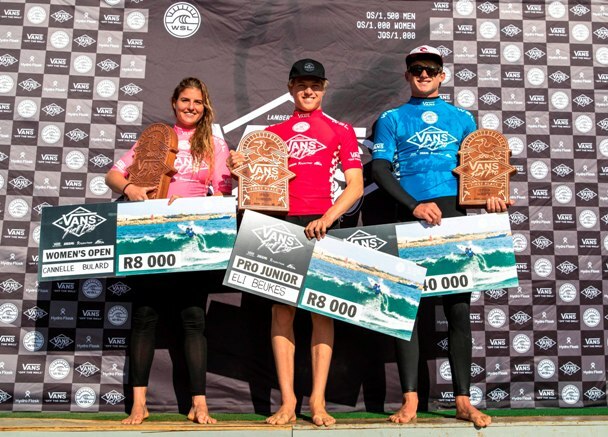 “I’ve always wanted to win this event because I grew up here in Lamberts Bay so to finally win it is amazing,” said Beukes after his first JQS event win. “I started off making a couple of mistakes because the wind was pretty strong and it was difficult to do turns. But once I got priority I was a bit more confident and then I went for it on that final air. Like the men’s event, the junior draw resulted in four South Africans and four internationals in the last eight. Beukes defeated Dylan Groen (Germany) in the final after accounting Eduardo Motta (Brazil) in the semis. Groen needed an excellent 8.25 and a 7.50 in his semi-final to oust Brazilian Daniel Templar, who had delivered the highest score of Day 1’s action. The 2018 Vans Surf pro Classic will be remembered for the huge surf that forced the organisers to move the action inside the shelter of the harbour wall on Friday, and for the outstanding surfing and exceptionally high scores when the event was moved back to YoYo’s on Saturday and Sunday. Full results, along with news, images and video footage will be available at www.worldsurfleague.com.